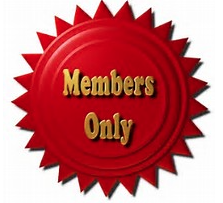 Nightly Watchlist is now for MEMBERS ONLY! ** JOIN OUR TEAM ** today! $CLSN $MTBC $MNKD $ELGX $ANTH - $XBIO $ECYT $KOOL $DRRX $BIOP $VICL $TISA $PGH $CERC $NVAX $PERI $MBOT $INFI $UQM $TEUM $GNMX $RGLS $NAO $IDXG $DNR $TRXC $ENPH trade smart take profits when present!